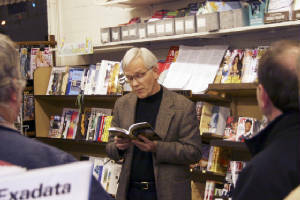 Kurt Cobb is an author and columnist who writes frequently on energy and the environment. His novel Prelude is a romantic thriller and cautionary tale that offers a startling reinterpretation of contemporary events and a window onto our energy future. He is a columnist for the Paris-based science news site Scitizen. His work has been featured on Energy Bulletin, The Oil Drum, 321energy, Common Dreams, Le Monde Diplomatique, EV World, and many other sites. He writes a widely followed blog on energy and the environment called Resource Insights. 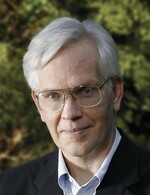 He is a founding member of the Association for the Study of Peak Oil and Gas—USA and serves on its board. He also serves on the board of the Arthur Morgan Institute for Community Solutions. He is a graduate of Stanford University and lives in Kalamazoo, Michigan. In this romantic thriller Cassie Young is a rising star at a prestigious energy consulting firm when she discovers secret files that reveal the truth about the world's oil supplies; and, it's not good news. Soon, she finds herself locked in a game of cat and mouse that places her career and ultimately her life on the line. After reading her story, you'll never think quite the same way about filling your gas tank. Cassie's transformation from one of the firm's true believers into a worried skeptic begins when she meets Victor Chernov, a former oil trader. Contrary to the public pronouncements of her firm and many official agencies, Victor says the world may start running dangerously short of oil—the lifeblood of modern society—within only a few years. In her search for the truth, Cassie uncovers evidence that convinces her Victor is right. But that evidence now makes her a target for those who desperately want to keep an unknowing world in the dark. Zinta for The Smoking Poet: Welcome to our pages, Kurt. Yours is a message that goes beyond an interesting storyline in your first novel, Prelude: A Novel About Secrets, Treachery and the Arrival of Peak Oil. Interesting, yes, but it’s also frightening long after you turn the last page. How much is the premise of this novel—running short on oil supplies—based in reality? Could you give our readers a brief synopsis of your novel? Kurt Cobb: I might use the hackneyed phrase “ripped from the headlines” if only there were any headlines in major news outlets about peak oil. The issue has been covered a bit here and there. But given the gravity of the topic, one would expect a huge amount of discussion. Oil is, after all, the lifeblood of modern civilization. And, while it is not running out—that’s a typical straw man argument used to discredit those who write and speak on this issue—world production has not grown in the past six years despite record prices. Some major players within the industry are warning that we will run up against limits in oil production within this decade and then see a decline. Just the failure of production to grow has been traumatic already with prices regularly floating above $100 a barrel for the second time since 2008. So dependent are we on oil in all facets of our life that a near-term decline in production would inflict untold damage on the world economy and our society. As for the story of Prelude, it revolves around a female energy analyst who is a rising star at a prominent Washington, D.C. energy consulting firm. She meets a former oil trader who tries to persuade her that peak oil production is near. She dismisses his concern as alarmist until she uncovers evidence that convinces her he is right. That evidence makes her a target for those who desperately want to keep an unknowing world in the dark. She soon finds herself locked in a game of cat and mouse that places her career and ultimately her life on the line. I should say that a few years ago somebody at the government-owned Kuwait Oil Company leaked figures to the Kuwaiti parliament that showed that country’s oil reserves were actually half what the company was claiming publicly. Though my novel is not about that particular incident, it and others like it inspired the story that became Prelude. TSP: Was giving the public a warning part, or even all, of your motivation for writing Prelude? I decided that other channels of communication were needed to reach a wider audience. Since I’m a writer, and I’d had some experience writing fiction, I set out to create a novel-length story about peak oil that would have broad appeal. The result was a romantic thriller which ended up being called Prelude because it takes place during the period of the oil price spike in the summer of 2008, and I considered that event to be just a prelude to what was yet to come. The world has certainly been in turmoil since then, and constrained oil supplies have been part of the reason. TSP: Exactly what is peak oil? Kurt: Oil is a finite resource and so its production cannot grow forever. Peak oil refers to the moment when the rate of oil production reaches its all-time maximum and then begins an irreversible decline. This happens to individual wells, to oilfields, to countries and it will ultimately happen to the world as a whole. As I said previously, we are not running out of oil. What we are facing is an ongoing decline starting at some point in the future. I believe it will happen before this decade is out. We have example after example of countries reaching peak and entering a terminal decline. The United States peaked in 1970. All the new technology, all the drilling and exploration, all the money spent on finding and producing oil since then has not prevented a persistent, though occasionally bumpy decline, in the rate of U.S. oil production. The slight rise in U.S. production last year I believe will prove ephemeral as have other bumps in the production curve. Geological limits continue to trump new technology as they have for more than 40 years in the United States. TSP: What do you say to those who say that global warming, or climate change, is a myth? What are your sources of truth? Kurt: Climate change and peak oil are actually related. After all, it is our profligate use of fossil fuels including oil that has led to climate change. Scientific evidence for the link between fossil fuel use and climate change is so overwhelming that it would be foolish for us to ignore it given the horrific consequences that are in store for the human race if warming continues unchecked. Now, if I told you that I would provide you with a free plane ride to your favorite vacation destination anywhere in the world, you’d probably be interested. But if I added that the plane makes it to its destination 95 percent of the time, and the other 5 percent of the time it crashes, you’d probably turn me down. You see, even a one in 20 chance of death is too high for us humans to accept. Well, we are on the climate change plane, so to speak, and if we don’t alter our course, we are very likely to crash civilization. And yet, with the probability a lot higher than 5 percent that we’ll experience catastrophic consequences from climate change unless we make serious changes, much of the public and our political leadership dismisses the danger. We humans, it turns out, are very poor at understanding risk, especially when it comes to abstract global problems like climate change and peak oil. However, I find that people concerned about peak oil—even if they dismiss climate change as many of them do—understand that we basically need to do the same things to solve both problems. You don’t need to accept climate change to do what is necessary to address it. You just need to accept peak oil or be active in related issues such as the reform of modern farming to make it more sustainable to begin doing things that will put us on the right path. Many of our major, seemingly unsolvable, problems are actually related, and the thread that runs through them is energy. TSP: For those who sincerely want to know more and do more, how do we go about muddling through the media, sorting through the conflicting reports, wading through the politics to stay informed about energy and our environment? Of course, there is also your blog, Resource Insights … can you tell us more about what you write in this blog? Is it just about the environment or do you take on other topics, too? Kurt: Nothing gets done in society without energy, even if it’s just the energy in your body. That means energy issues touch nearly every facet of our lives: food production, transportation, housing, manufacturing, even recreation since many recreational activities involve petroleum-powered boats, motorcycles, snowmobiles, all-terrain vehicles or even energy-intensive athletic facilities. As a result, my writing about energy takes me into practically every facet of modern life. I’ve written quite a bit about modern farming which has only been made possible by fossil fuels and will need to change dramatically as fossil fuel supplies decline. I write occasionally about finance because, as I see it, money is nothing more than the right to command energy to do what you want it to do, whether in the form of a machine or in the form of a person. Without adequate energy supplies, you could have all the money in the world and it would be worthless because, as I said, nothing gets done without energy. And, not so incidentally, one of the reasons for our current ongoing financial difficulties is that the world no longer has access to cheap energy to subsidize economic growth, growth that is absolutely essential for the modern economy to service the enormous amounts of debt in the system. Once you understand that humans and human society and the entire planet are really all essentially energy systems, an inscrutably complex world becomes quite a bit more comprehensible. Energy flows are what makes these seemingly separate things hang together. TSP: It’s hard sometimes not to lose hope. Is there any reason for hope in your perspective? Kurt: Genuine hope comes from action, not from some writer or speaker. I can’t give you hope directly. You can only build hope yourself in concert with others by taking action to address the major challenges of our age. 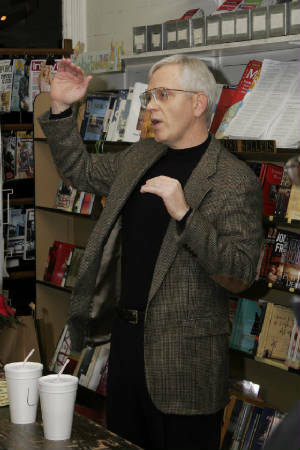 Thomas Berry, the great theologian and cultural historian, called upon us humans to become a benign presence on the Earth in his book The Great Work. With all the empty distractions we have created for ourselves, I think that by comparison the “great work” will be invigorating for all who choose to embrace it. It will offer meaning and hope in the face of the tumult of the enormous transition we are already experiencing. TSP: Can you tell us a little more about how you live your life in accordance with your beliefs and findings? Kurt: Thirteen years ago my wife and I went down to one car. We’ve never regretted it. We live near a bus line and use the bus frequently. I bicycle during all four seasons to do the vast majority of my errands. As a result, I get my exercise while doing errands and actually end up saving time that would otherwise be spent exercising separately, for instance, at a health club. We compartmentalize our lives so much these days that we don’t see that our fitness used to come from just living, just doing daily activities. In summer we never use air conditioning. First, it’s just healthier to breathe fresh air and to sweat a bit in the summer. Second, we find that although we suffer somewhat during summer’s first heat wave, after that we are almost never overheated—even on the hottest days—because we’ve allowed our bodies to adjust to summer temperatures. In winter we ascribe to the principle of warm the body first, then the room, and only then the house. Americans somehow think it is their God-given right to run around in shorts and a T-shirt in their homes in the middle of winter. It seems trite to say that we put on several layers of clothes to start the day. Then, we use space heat only for the rooms we are in, if needed. Even in the depths of winter, we tend to turn the furnace on only once a day and leave it on just until we get the chill off. One of the most energy-intensive systems in our society is our food system. This is because we transport food sometimes thousands of miles from where it’s produced to our dinner tables. This is a terrible waste of energy. To reduce this waste, we have developed relationships with local farmers who use organic techniques and get much of our food from them. We also grow some of our food in a shared garden. In addition, organic growing saves energy because it depends less on petroleum and does not allow the use of petrochemicals in the form of pesticides and herbicides. When you eat lots of fresh produce, you also don’t incur the enormous energy costs embedded in food packaging. As for meat, we strive to purchase only meat from pastured animals raised locally. It’s expensive, and we eat much less meat than we used to. On the other hand, the quality and taste are exceptional. While meat production is energy-intensive, it is less so for the meat we buy. Just by buying the best locally raised pastured meats and eating them less often than you used to eat conventionally produced meats, you’ll reduce your energy footprint considerably. All this means that we cook a lot and rarely eat out. That’s probably one of the biggest changes in my life, and it’s turned out to be rewarding and healthy. I’m a much better cook, and I feel better as well. When I travel, I always try to travel by train if I can since this is by far the most efficient form of long-distance transportation. Of course, trains don’t go everywhere, and so sharing car rides is an alternative. When I’m in a big city, I always use public transportation and rarely even take a cab. Occasionally, I fly if that’s the only practical way to get somewhere in the time allotted. Unfortunately, much of the U.S. transportation system is arranged to force you to fly on many long distance trips. If we had a train system like that in Europe, I would never set foot on a plane except for transoceanic flights. TSP: Back to Prelude, your novel. It was published in 2010, so you’ve had some time now to observe public response and gather some feedback. What are you finding? Are people interested in applying this to real life or are they reading the book as science fiction? Kurt: In a note opposite the title page I tell people that even though they are about to read a book of fiction, peak oil is anything but. I wanted to make sure readers understood that going in. What has been happening in the first year is that people who are peak-oil aware are using the book to enlighten their spouses, relatives, friends and co-workers, often by lending out copies of Prelude or giving them as gifts. That’s exactly what I had envisioned when I wrote the book. I find that women readers typically get this book right away. That’s because it’s really about relationships. The main relationship, however, is not what you think. It’s the relationship between the main character and oil. As that relationship changes, so does her relationship to everyone around her. That’s something that all of us involved in the peak oil movement have experienced. For male readers, who tend to be less interested in the relationship aspects of the story, I urge sticking with the book up through chapter six. If they do, they typically find the action quickens enough to keep them reading to the end. TSP: You published Prelude yourself. Was this because of resistance among traditional publishers or some other reason? Kurt: As it turns out, Prelude is not my first novel; it is my second. The first one, which I finished 10 years ago, had an immigration theme and was set in northern California. After exactly 75 rejections from agents and publishers, I put that manuscript away. It had taken more than a year just to get all the responses from agents, some of them trickling in nine months after the initial query. Peak oil is an urgent issue. I thought it was better to proceed with publishing Prelude myself. Even if I had been able to attract an agent and a publisher, it still would probably have taken two years just to get the book out. By then we might already be at peak! I’d be writing history instead of prophecy. Who would find the warning in the book compelling or useful then? Though my choice to self-publish comes with considerable challenges, the path has been easier for me than for many others. I’ve been a newspaper reporter, an advertising copywriter and a media consultant for political campaigns. I already know a lot about how to promote things, and I still have friends in the ad business that I’ve hired to assist me and who’ve been enormously helpful. In addition, I have a widely read blog, and so I had a built-in reading audience before I even finished the book. The Internet has really made self-publishing and promotion so much easier than it used to be. Prelude is available pretty much anywhere in the world and as an e-book on every device I know of. This would have been unthinkable a few years ago. Now, it’s actually possible to do it yourself with a little focus and hard work. In addition, the stigma associated with self-publishing has been disappearing as some successful writers have ditched their agents and publishers and gone direct. By and large, they are making better money and reaching broader audiences. The e-book in particular has spawned a number of e-book millionaires who’ve never had an agent or a publisher. It’s a new world. The increasing importance of the Internet has made itself known to me in other ways as well. A guest post I did on the book for a prominent energy investing site led directly to a cable television interview in Europe. I did the interview via Skype. But perhaps the most promising development came only a month after the book was published. A former Hollywood sound editor sent me a message through Facebook telling me he wanted to see Prelude made into a film. This editor now runs a cinema program at a California university, but still maintains contacts in the industry with major producers. He’s also written several scripts and now has an arrangement with me to produce a script on spec for the consideration of any producer who options the movie rights. The previously mentioned television interview also resulted in the book making it into the hands of yet another major film producer who is friends with the television show’s producer. These contacts have been promising enough that I’ve engaged an entertainment lawyer. I’m not exactly holding my breath. On the other hand, an offer could emerge at any time, and so I thought I’d better be ready. If I had focused on getting an agent to take on Prelude, I’d probably still be sifting through rejection letters at this point. TSP: You chose to make your main character a woman, Cassie. As a woman, I really appreciate that, by the way—we don’t read about nearly enough female characters who are strong in the sciences and in business [see book review of Base Ten by Maryann Lesert.] What went into making that choice? Kurt: You’ll probably be mildly disappointed that the choice was as much a marketing decision as it was an aesthetic one. First of all, I think readers find it more interesting to read about characters who are contrary to type. It’s the GI Jane phenomenon. There are more surprises and complications for a woman in a man’s world which the oil industry and the consulting business both tend to be. Second, it turns out that 80 percent of America’s fiction readers are women. Of course, a good chunk of that number can be explained by the romance-filled bookshelves in nearly every grocery store. But even so, women are far more likely to read other types of fiction than men. This is a vast audience, and I’ve tried to write a story that is engaging for women readers. There’s actually a third reason to reach women readers. Women tend to make most of the decisions for the household. If anyone is going to expand the discussion of peak oil in the world, it is women—women who want to keep their families safe and well nourished, who want the best for their children and their spouses. If they come to believe that peak oil threatens that, they’ll do something about it. My favorite example is Mothers Against Drunk Driving. When I was growing up, drunk driving was a bit of a joke. One very successful comedian, Foster Brooks, actually made a living doing a drunk act. Within 10 years after MADD started its work, states were throwing people in jail for drunk driving and Foster Brooks had stopped doing his “lovable lush” act. Could the women of the world change attitudes so completely about peak oil? I hope so. TSP: You’ve said that we are actually rich in oil, just not in “cheap oil.” Please explain. Kurt: Many people will tell you that we have enormous oil resources left and that there is no need to worry for a long, long time. But here is the key concept: It’s not about the size of the tank; it’s about the size of the tap. It is the rate of oil flows that matters to society because our society depends for its functioning on continuous inputs of high-grade energy. Any decline would seriously impair the systems we have come to depend on. One needs only to look back at what happened around the world during the oil crises of the 1970s. Imagine that as an enduring feature of our lives. While it is true that these unconventional sources of oil such as the Canadian tar sands and the heavy oil deposits in Venezuela are quite large, there are two problems. First, only a small fraction of those resources will ever be extracted profitably. By comparison we were able to extract a much higher percentage of the world’s conventional oil because it flowed so easily. This is the stuff you see at the beginning of the old television show, The Beverly Hillbillies. This is the flowing oil, the “bubbling crude” that oftentimes comes up out of the ground under its own pressure. That easy oil is fast disappearing. The future of oil is stuff that clings to sand, that’s not even oil as we know it, and that has to be dug out of the ground. It requires huge amounts of energy and water just to process into something we recognize as oil. In fact, water is going to be a key constraint on energy production as we move into the future. All this means that the rate of production is going to be much slower for these new sources. So, the easy stuff that readily flows has been declining since 2006, and we’re now relying on the difficult-to-get stuff that hardly flows at all. It’s a recipe for an eventual decline in the overall rate of oil production. And, rate is the key issue. As the rate stagnates, as it already has, and then starts to decline, the competition for oil will lead to prices that might be persistently above $100 a barrel. Ten years ago we thought that $30 dollars a barrel was really, really expensive. Well, this is the new normal, and it means that the days of cheap oil are gone. An analogy might be useful: If you inherit a million dollars with the stipulation that you can draw out only $500 a month, you may be a millionaire, but you will never live like one. That is going to be our situation more and more when it comes to oil. Rate matters above all. TSP: What about other sources of energy? Solar, wind, coal? Natural and shale gas are in the news. We’re also seeing fuel made from corn, cooking oil. Running cars on batteries is becoming increasingly common. Kurt: You fail to mention the most important and cheapest source of energy: conservation. Have you ever been to Europe? Well, of course, you have! Now, for most Americans, as they walk the streets and haunt the museums and cafés of that theme park we call Europe, they never suspect that by American standards, they are visiting an energy-starved society. Europeans on average use only half as much energy per person was we do in the United States. Of course, they live differently and have built a vast and wonderful public transportation system. But they have all of what we would call the comforts of civilization. In fact, Europe is such a wonderful place that many Americans decide to stay. Now, that’s 50 percent down. I think we can reduce our energy usage by 80 percent and still be quite comfortable. Why is it that the energy optimists are constantly telling us that yet-to-be-invented technology will allow us to extract much more of the fossil fuels in the ground? Why do they never suggest using our technological prowess to create ways that will allow us to use a lot less energy to do the things we want to do? As it turns out, we already have a lot of the technology to do just that. We just have to make a concerted effort to put it into use. If we drastically reduce our energy footprint, we’ll be able to meet the challenge of peak oil and climate change at the same time. We’ll end our foolish and dangerous dependence on foreign oil. And, we’ll make it possible to run the bulk of our society on renewable energy from the sun and the wind. Then, we won’t need coal or natural gas which are also finite fossil fuels and are likely to peak in their rate of production much sooner than people believe. But, our first task is to reduce our energy use, and you don’t need a government program to get started. You can start today. TSP: While we can, should be drill, baby, drill? Kurt: The “drill, baby, drill” crowd in the United States has a fundamental misunderstanding about available oil resources. America consumes about 22 percent of the world’s oil. But we have only 1.5 percent of the world’s oil reserves. We’re not going to drill our way out of anything. In fact, we ought to be saving oil as much as possible for its more valuable uses in medicines, as the basis for plastics and synthetic rubber, and in petrochemicals that are used widely in industry and households and without which the modern world wouldn’t exist. One oil executive quipped years ago that burning oil for energy was the equivalent of burning Picassos for heat. That’s how foolish our profligate burning of oil is compared to its other uses. TSP: Does any of this, or should any of this, tie into the Occupy movement that has now spread from Wall Street across the globe? Kurt: The Occupy movement appears to be primarily about economic inequality and about a financial system which has now so crippled the economy that there are few jobs available for those seeking work. The reforms which the Occupy movement seeks in banking and finance and in getting money out of politics seem laudable to me. But they are not nearly as radical as the changes we are going to have to make to adapt to peak oil and then peak coal and peak natural gas after that. However, if we somehow do get money out of political campaigns, we might have a Congress and state legislatures that can focus on something other than the needs of the fossil fuel industry. Kurt: In theory a human society can remain viable for a very long time if it doesn’t remove renewable resources such as groundwater, forests and fish from the environment faster than they can be replenished. That society must also run on renewable energy under the same principle. And, it must return to the soil all nutrients it takes out through its farming practices. The population must be steady and the throughput of physical resources cannot grow continuously. We can have as much intellectual and spiritual growth as we can handle. But we simply cannot have infinite physical growth in the use of resources on a finite planet. And, we must have a strategy for recycling all materials from cradle-to-cradle. To paraphrase the great ecologically-minded designer, William McDonough, there is no such thing as waste—everything is food or feedstock for something else—and there is no such thing as “away.” We cannot throw anything away because there is no “away” on the globe we live on. What I’m saying implies deep reductions in energy and resource use from current levels. But these reductions are indeed doable. TSP: With all this in mind, what do you tell the younger generations today? Kurt: If you are starting out, do not think about what job you want. Think about what you have to offer your community that will be of value in a low-energy, low-input world. Think like an entrepreneur. People who figure out how to help us live well in a world of constrained resources will be well-rewarded. The work you do in such a case will be valuable to others, be a compelling challenge to you since you will be inventing it, and will result in a secure place in your community. You may not get rich, but you will be rich in ties to people who are well-served by your efforts. TSP: What do you tell the older generations, those who are now planning to retire soon or already retired? Kurt: I’m afraid my words to older people planning to retire or already retired will be less inspiring. I think that the idea of retirement is in the process of being repealed. Some people will be lucky and be able to retire. But most I think will suffer severe financial losses as the financial and resource problems we face unfold. So, I’d say be very conservative with any savings that you have. The markets are unlikely to reward you with big gains unless you are an exceptionally nimble player and very lucky to boot. Make yourself less dependent on a car if you can. If you are planning to downsize your living arrangements, do it as soon as you can. And, put any extra money you receive from say, selling your house, into very conservative investments. Find some work you can continue to do to make some money. Realize that normal government services may or may not be available to you in the quantity or quality you’ve come to expect. Get to know your neighbors and make them part of your support network and you part of theirs. Find a place to grow some food in your yard or a community garden. It’s fun, and it provides a small degree of self-sufficiency. Eat a wide variety of healthy foods and stay in shape. That’s good advice for anyone really. But it will be especially important for older people as it becomes more expensive to access medical services. With just an hour of exercise a day, you might be able to avoid a lot of medical expenses and have a better quality of life as well. TSP: Are you planning any more novels, Kurt? Or nonfiction books? Kurt: I’m planning on resurrecting the novel I wrote 10 years ago and updating it. Unlike then, I no longer need agents or publishers to reach the reading public. I also have an outline for another oil-related novel, but it will be a murder mystery. I’ll still be saying something about our relationship with oil, but the murder mystery will drive the story. TSP: Where can readers purchase Prelude? Are you doing any speaking tours, author readings? Kurt: You can purchase Prelude at Amazon and other online retailers worldwide. You can also order it through virtually any bookstore in the world. And, it is available in all the popular e-book formats. I’ve got a partial list of outlets on the Prelude site. I am doing talks on a regular basis and welcome invitations to do them. The Prelude site also includes my speaking schedule. TSP: Thank you, Kurt. Fascinating topics. 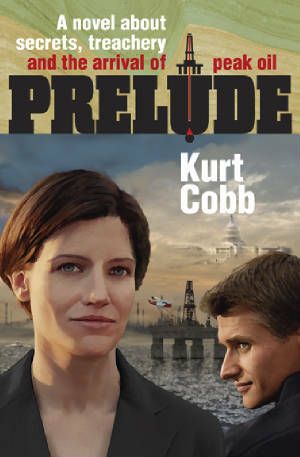 For our readers, visit Zinta Reviews for a book review of Kurt Cobb’s Prelude.